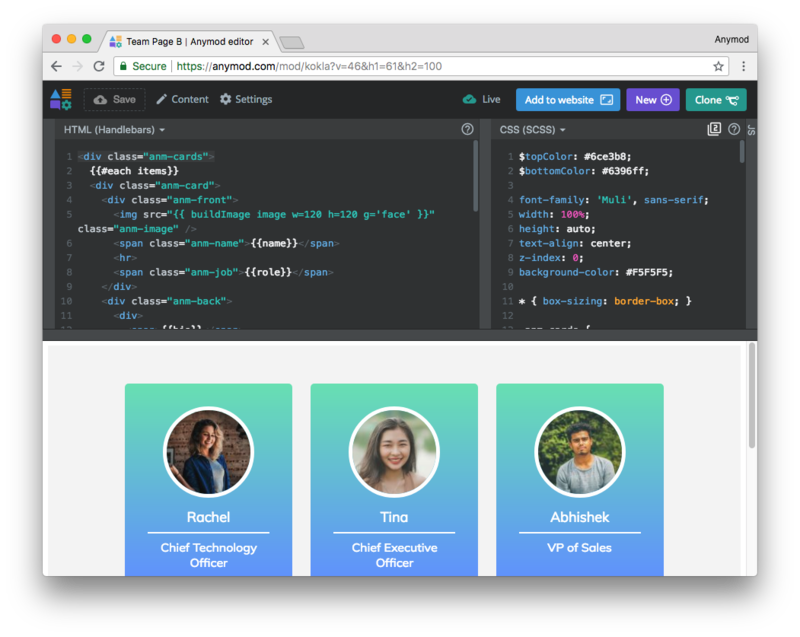 Anymod lets you make any part of any website editable. You can make your pages editable by moving static HTML content into a mod, which is editable through the Anymod dashboard or with a live, on-page editor. The three images above are actually mods: click the pencil edit on the right, then click an image to edit it. You can create or clone a basic mod with content and paste your content into the mod's content area. Now when your page loads, content will be displayed as before but will be editable. Compare the before and after live demo to see the differences in content and code. The textbox above is actually a mod: click the pencil edit on the right, then click the text box to edit it. For more examples of how to make the content on your page editable, see Content management examples. Anymod can do much more than make basic text editable. You can build (or clone) mods to edit cards, images, events, colors, links, pricing, navigation and more. Essentially any content or feature on a website can be made editable with Anymod. 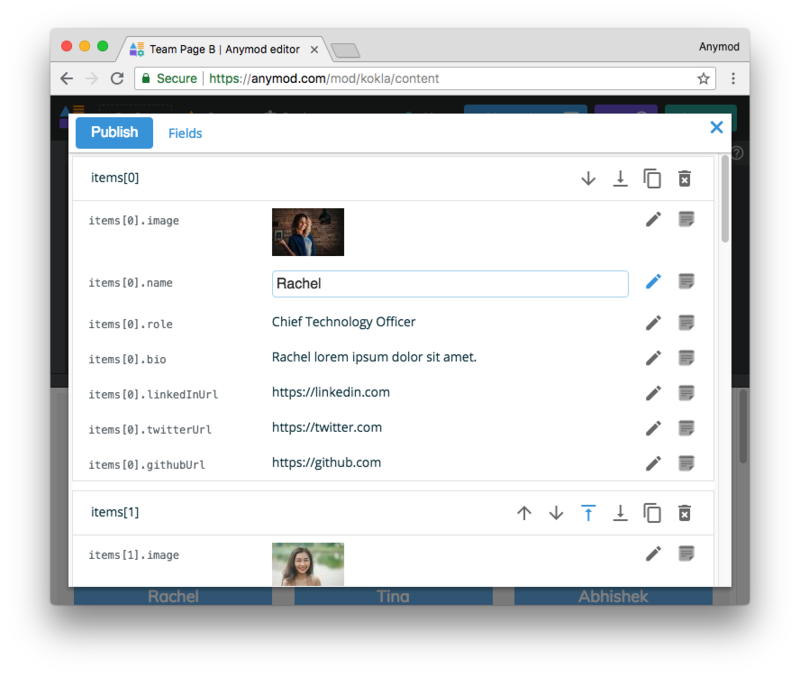 Team members can be added and removed easily, or users can update their photos, bios, links, and more. Click the pencil edit on the right, then click the team mod above to make edits. In addition to editing any mod's content, you can also optionally edit its code. This gives you full flexibility to extend mods to fit your exact needs. See the team mod's code or read more about customizing mods.